Here’s another round of my favorite photos and posts about the harvest in the Languedoc Roussillon wine region of France. 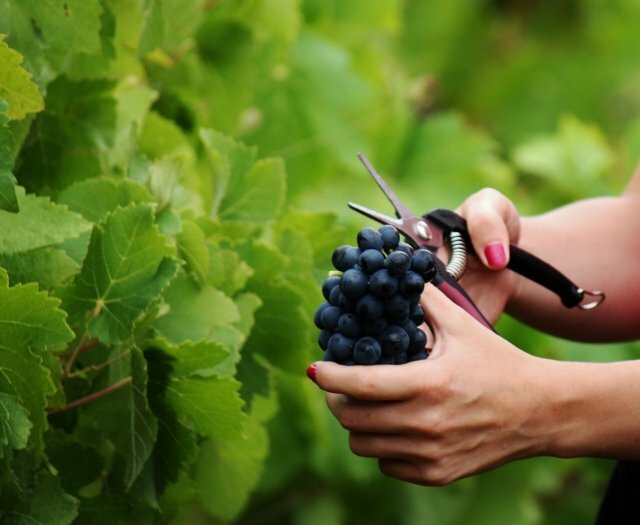 This year there’s a distinct theme of women in the vines! 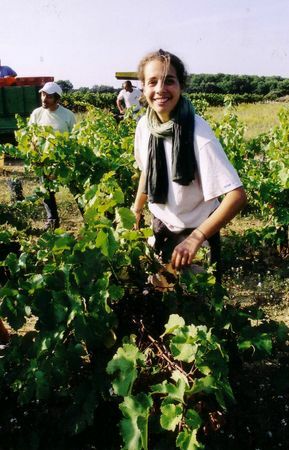 Women have played a huge role in the winemaking of the Languedoc Roussillon since the very beginning. They’re finally taking some of the credit. 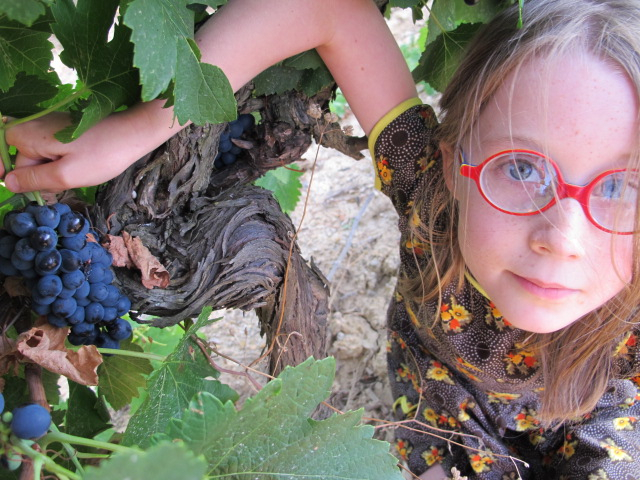 And as a lot of the pictures show, there’s a generation of little winemakers in the making who will be just as talented as their mommies and daddies! 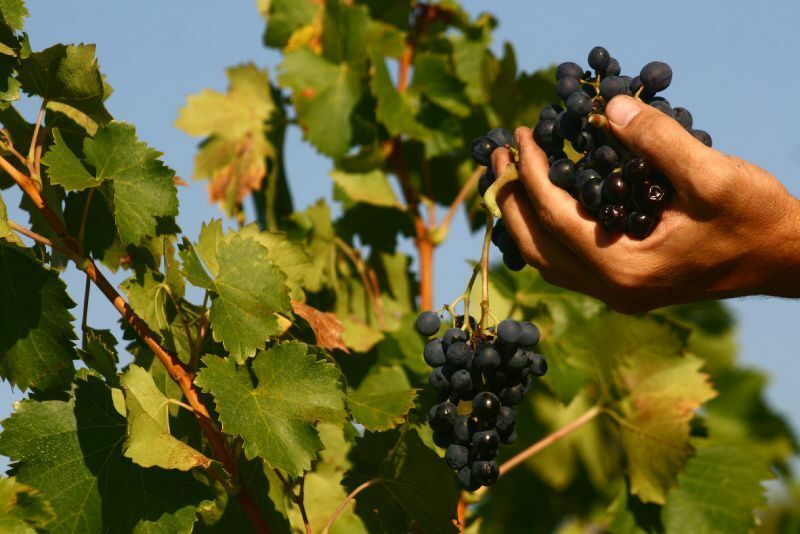 It’s been several months since I’ve updated the twitter and blogger lists for Languedoc Roussillon wine producers. So I sat down and did it this morning! Vincent Pousson – not strictly a wine producer? In many ways, the voice of Castelmaure. 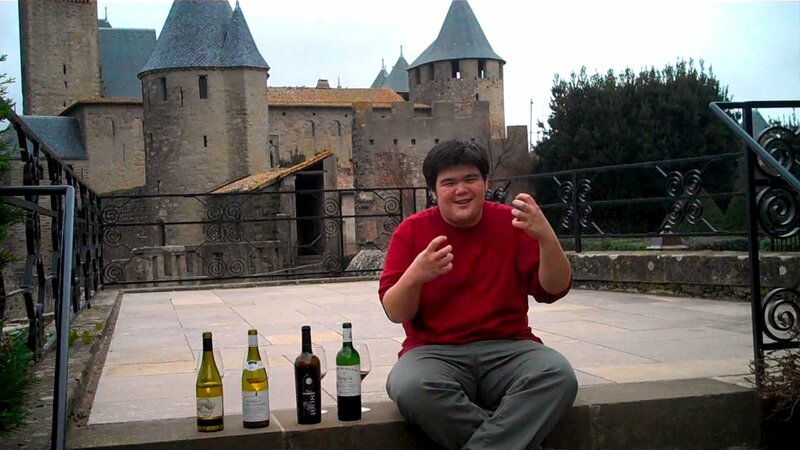 Pour le Vin, Cotes Catalanes – Michel Smith doesn’t blog much about his wines, but he is a winemaker now so there you have it. Domaine de Cadables, Gabian – Met Bernard Isarn at the Matinale du CIVL / BUCE event in Narbonne. Sieur d’Arques, Limoux – A bit embarassed that I hadn’t seen this one sooner. But there it is now! 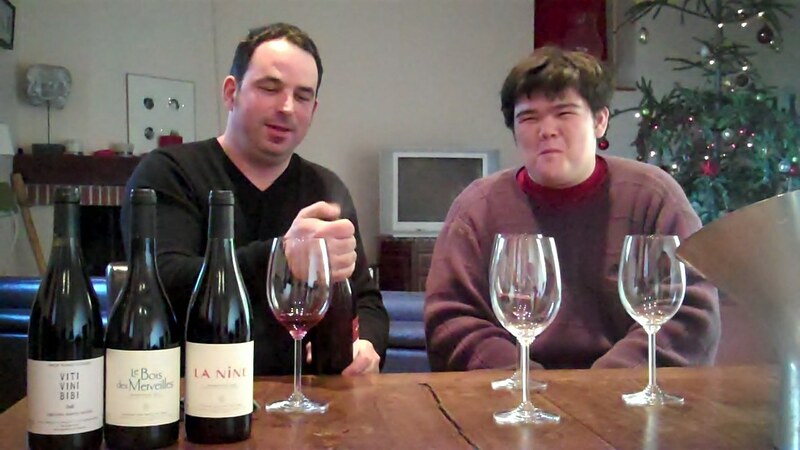 The Outsiders – strictly speaking, this is a blog for a group of winemakers. 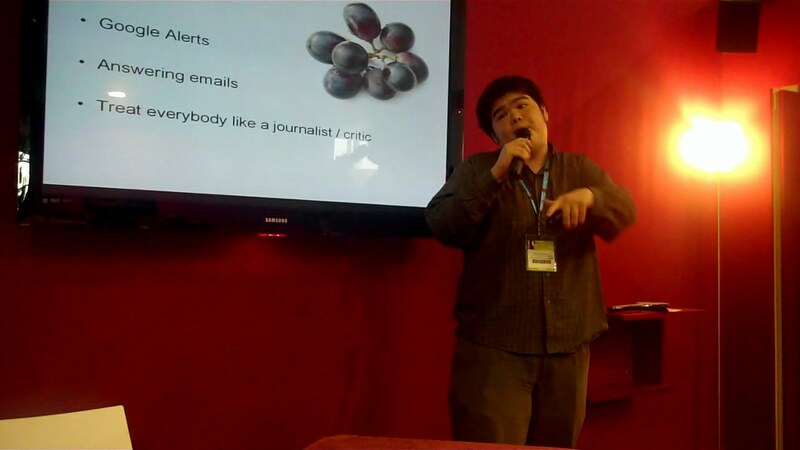 But the winemakers don’t handle the blogging ourselves. But a lot of the text is written by us. Idées Liquides et Solides – I don’t think Vincent Pousson is a winemaker, strictly speaking (although I might be wrong!) I know he designs the labels and aesthetics for Castelmaure and is very heavily implicated in their communication strategy. Anyway, he blogs under his own name, but I can’t help thinking of it as an extension of the Castelmaure cooperative (even though it’s explicitly not that). 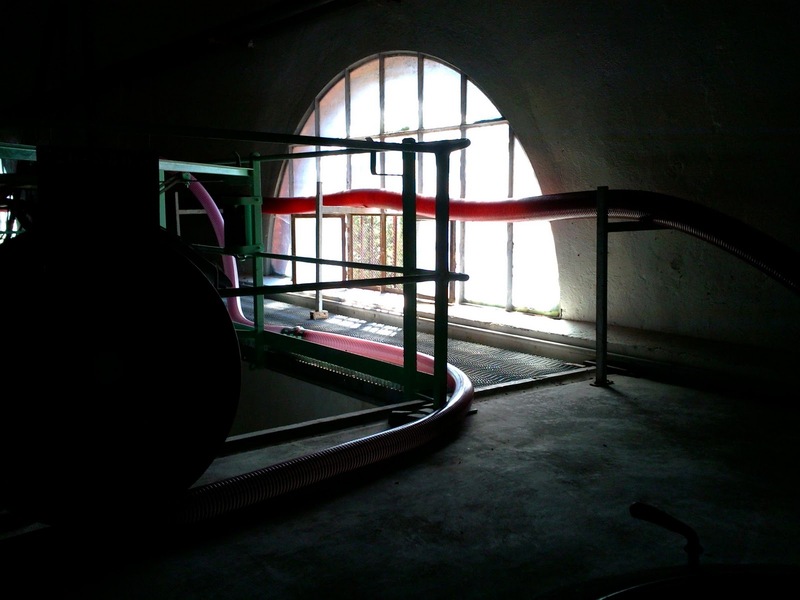 20 de Corbieres – This is a website hosted by the AOC Corbieres / CIVL (an interprofessional group) and it hosts a blog that any winemaker in the Corbieres can post on. This is a brilliant idea. The Corbieres is massive and having a joint winemaker blog accessible to all its producers can generate a huge amount of quality first-person content with just a little bit of effort from each winemaker. Awesome initiative. The posts are still often CIVL-ish or AOC-ish because some of them are posted by the syndicat Corbieres, so it’s not totally a winemaker blog. But it’s getting very very close. Or maybe even it’s better than a winemaker blog? The Wine Enthusiast, a leading Amercian wine magazine, recently named their European winery of the year for 2011. And the winery is Gerard Bertrand in the Languedoc Roussillon. I’ve been meaning to write about Gerard Bertrand for a while now, and this might be just the kick in the pants I needed. Gerard Bertrand is a complicated cookie. It’s easy to criticize him (his organization is so big that it makes a bigger target), but he’s actually a stand up guy. I had a relatively negative impression of him when I first came to the region, but I have really come around despite my prejudice against big business, economies of scale, and government subsidies. I still don’t know him very well, but I think he’s good people. Now that’s a super simplified version. I really hope that readers will take a few minutes to read this whole article. Because regions like the Languedoc Roussillon are being shaped every day by a handful of people like Bertrand. Obviously, it takes the communal work of every grape-grower and winemaker in the region to make the Languedoc Roussillon run. But there are a few point men (and point women) who lead the charge in their own ways and act as poster children for the entire region. After spending a few hours with Gerard Bertrand, I feel like people don’t give him enough credit for being a good guy. They give him credit for being a keen business man, or a shrewd investor, a good schmoozer, and lots of other things, but I don’t think many people ever tried to convince me that he’s just a nice person. So that’s what this is about. Both landowner and partner of the best winegrowers in the South of France, Gérard Bertrand manages over 325 hectares of vineyards across varying Languedoc terroirs. He fully understands the movement toward expressive, well-balanced and elegant wines that remain accessible and affordable. When I first came to the region, this was exactly the kind of award I’d expect Bertrand to receive. Last year, it went to the Portuguese winery responsible for Mateus. And in a three line bio of the man, you mention he’s got over 300 hectares around the region, maybe with a qualifier like “accessible and affordable” (which is sometimes a euphemism for “sells to supermarkets”). 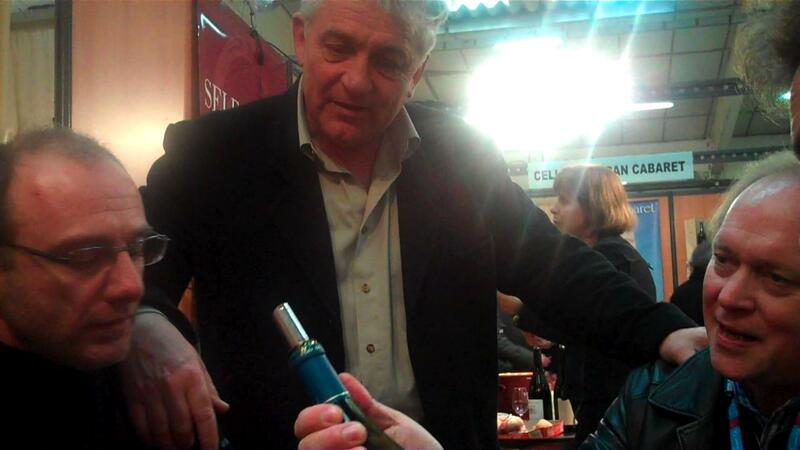 And the first few times I ran into Gerard Bertrand, it was at trade fairs (ViniSud 2009 and LIWF 2010). In both situations the retired rugby legend was wearing a suit (which might have emphasized his height and gaunt frame to make him look more than a little imposing). He seemed a little curt with the people around him. I mistook this for self-importance, and I projected a lot onto the man because of assumptions I tend to make about large scale producers. I was always willing to admit that his wine was solid, but I never really gave the guy a chance. Hearing him talk about perspective and patience started to convince me that he might be a lot cooler than I originally thought. But at the same time, these kind of tours are often put-on. I wasn’t 100% convinced yet that he was being genuine. At the jazz fest Bertrand promotes on his primary vineyard, l’Hospitalet, I got to spend more time with him. And I saw a totally different side of the man. He was laid back and in his element. A serious but friendly man who clearly enjoyed sharing a nice moment with the people around him. The only thing I posted from the jazz fest was a helicopter ride over the Corbieres and Massif de la Clape. Admittedly, that is very bling bling. And it’s very generous of him to fly me around like that. But that is not what I’m referring to when I talk about sharing. At dinner, he had old neighbors around the table, other winemakers, silly American winemake/bloggers, and so on. He wasn’t just automatically fulfilling the functions of a host. He was hanging out with his neighbors. And he was being really nice to everybody. And really honest too. There were some moments of frightening intimacy in the conversation. There was one point when Gérard talked about the fires that had ravaged the Massif de la Clape in recent years. This is probably worthy of its own post, but I’ll explain briefly that grape vines play an important role in stopping the spread of fires on the Mediterranean coast. Bertrand advocates planting more vines on the Massif de la Clape as a way to limit the destructive fires we saw in 2010. You should have seen the look on his face when he talked about that 2010 fire. He spoke of the smell of burning leather and smoke as he and his friends ran up and down the massif trying to steer the fire away from a nearby village. Okay, this is starting to sound like an Ayn Rand novel. But maybe that’s appropriate. I don’t know if this post achieved what I want it to. I don’t want to pretend Gerard Bertrand is my hero or that he is going to save the Languedoc. I just wanted to explain how I was skeptical about his character and it turned out he’s nice and seems like he has very good intentions. We actually have a lot in common and I feel pretty bad that it took me several years to get to know him a little. And I’m not important enough to name him European Winery of the Year like the Wine Enthusiast did. But maybe what I can do on this blog is tell you that he’s a stand up guy. I’m happy that he’s one of the point men for the entire region. These are some of my favorite 2011 harvest photos from around the Languedoc Roussillon. In no particular order. Each photo links to the original site where you can find much more content. 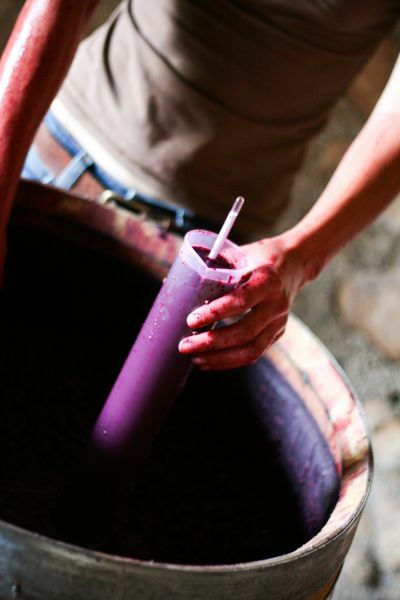 I encourage you to go and visit the region’s wonderful winemaking bloggers. And of course check out the fuller list of harvest updates I posted earlier or photos from 2010 harvest.